Every woman faces the problem of obvious signs of aging sooner or later. And every time the moment of their occurrenceisdesired to bedeferred as far as possible. Popular circular tightening procedure allows to preserve the beauty and youth of the person efficiently and at a reasonable price. Circular lifting (face-lifting) is a complex of surgical procedures, the purpose of which is to eliminate the age-related changes, perform the correction of deep structures of the face and neck. During such a procedure the plastic of upper, lower and middle parts of the faceis performed, the outer parts of the eyebrows, the area around the corners of the mouth and the front and side of the neckare being adjusted. Each patient should visit a specialist for examination before performing the circular lifting. Plastic surgeon evaluates the condition of the skin of the face and neck, determines the degree of age-related changesmanifestation. The specialist determines what method should be used in each case. Such nuances are always discussed with patients prior to the lifting of the face and neck. Consultation with the surgeon provides an opportunity to assess the expected result and discuss possible complications, determine the cost and terms of preparation for surgery and rehabilitation. loss of skin elasticity in the area of ​​the eyebrows and forehead. Circular lifting(contour correction, face-lifting) makes it possible to restore skin shiningand youthfulness, as well as confidence in the beauty together with good mood. The lifting procedure is safe, but there are a number of contraindications, that you need to consider before you go to a specialist. These include cancer and infectious diseases. It is necessary to refrain from smoking and medicationduring preparation for the contour correction. The negative effects of a face-lifting may be associated with bruising, tissue necrosis, and pigment spots. However, when using the professional approach to the conducting of the skinplastics, such manifestationsare reduced to a minimum. The results of our work may be seenin the reviews of our patients. Rehabilitation after surgery involves specialist supervision in a hospital for 2 days. Since then, the patients need to visit a plastic surgeon for consultation, as well as to perform some treatments and dressings. Many patients in our clinic already experienced the effectiveness of such a lifting. You may view the results of the operations in the photo gallery, which contains photos before and after skin tightening. Also, many patients left over theirreviews, where they expressed their impressions of the operation and the results obtained. Poltava "Clinic of plastic and cosmetic surgery" LLC medical center performs procedures to eliminate the signs of aging at the best prices. The cost of the operation and its aspects are set individually. To find out how much the face-lifting costs and make an appointment with a specialist, please contact us at the numbers listed on the website. Jan. 23, 2014, 11:51 a.m.
Good day! I want to write about this clinic.I met this clinic in the winter of 2011.From the first time I was fascinated by his sincerity Lesya Feodorovna, this is such a sweet and charming woman that immediately imbued with trust and is ready to surrender completely into the hands of doctors.Then there was an acquaintance with Ilya Yuryevich, Alexey Ianovich, Nikita Ilyich and all the medical staff and then you got caught....I write this with a smile, because the whole team is very friendly and sincere. Then I was convinced of the professionalism of doctors. I have repeatedly operated, as age does its job, did a facelift and other similar operations, corrected the chest and always everything was at the proper level with the sensitive attention of doctors and all medical staff, for which I Express my GRATITUDE and I want to say I LOVE YOU all!!!! 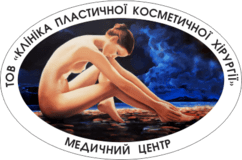 !I want to wish the staff of the Poltava clinic of plastic surgery health, personal happiness and success in their difficult, but such a noble profession that gives people beauty and youth!!!! THANK you!!!! Dec. 19, 2013, 2:11 a.m.
Sept. 16, 2013, 7:38 p.m.
For circular facelift surgery (facelift), I chose this clinic on the recommendation of friends.Was very, very happy.Reviews and memories - the most warm and positive. Competent medical staff, high-class surgeons. There are PROFESSIONALS, doctors from God.Now, every morning looking at myself in the mirror, I remember with great gratitude, first of all, the surgeon Nikita Ilyich. Many thanks to him! Also the kindest words to nurses Vike and Petrovna. I look great, I'm in a good mood all day. After all, for us, women, our appearance is one of the keys to inner harmony, to a positive charge for the whole day.Thank you for making us beautiful.Success and prosperity of your clinic!